At Huntington Chiropractic Center, we are dedicated to giving you the best care possible and to getting you on the road to good health in an efficient and thorough manner. 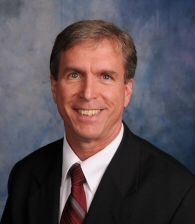 Dr. Stephen F. Geders graduated from Logan College of Chiropractic in January 1980. He has been in private practice for over 30 years and has worked with several industries in Northeas Indiana regarding ergonomics, injury prevention and treatment of workers' compensation injuries. He also works on-site for various industries located outside of Huntington County. He offers safety talks including the following: Proper lifting techniques, Carpal Tunnel/Repetitive Motion Injuries, Lower Back Injuries, Ergonomics and Prevention of Workplace Injuries, Employee Enhancement and other subjects. A guest speaker for many civic clubs and local service organizations, Dr. Geders has also been a guest speaker for the Occupational Health Nurses of Fort Wayne, the Huntington County Safety Council and the Fort Wayne Society of Safety Engineers. He is a certified PowerLift trainer, a member of several professional organizations, including the American Chiropractic Association Council on Occupational Health, the Foundation for Chiropractic Education and Research, the International Chiropractic Association of Indiana and the Christian Chiropractic Association. He is also a Diplomate with the National Board of Chiropractic Examiners. Dr. Geders is a past president of the Salvation Army Board of Directors and has served as a volunteer in several local organizations. Married for 35 years to his wife, Cindy, they have five children: Jenny (Markley), Eric, Katie, David and Rachel. His hobbies include playing Ultimate Frisbee, performing and composing music, videography and spending time with his family.